Let's say you broke into your next door neighbor's home and stole items worth a total of $5000. 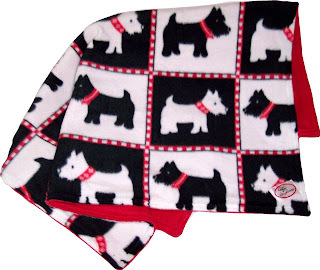 Let's also say that one of those items was a blanket that had a distinct dog pattern on it (similar to the one pictured). Now, what would you do make sure your neighbors never found out that you were the thief? c. hang the distinctive dog-blanket in my window to keep my neighbors from seeing in. 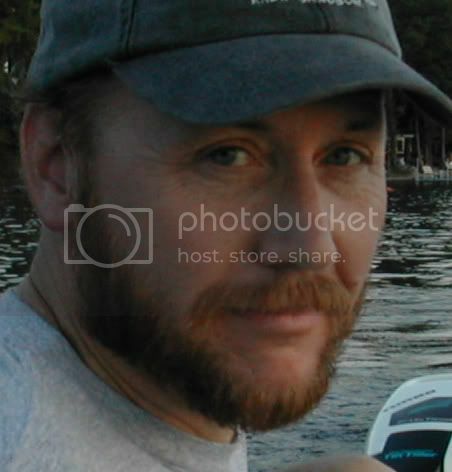 If you answered "c" then you might be Troy Clouatre or Lisa J. Smith of Chalmette, Louisiana. Recently, Troy, 35, and his aunt Lisa, 47, robbed the home of their next-door neighbors. When the neighbors returned home and saw that they had been burglarized, it didn't take them long to figure out who did it.... because they easily recognized their blanket hanging in the window next door. Lisa and Troy were arrested for burglary and possession of $5000 of stolen property. Said one local police officer, "This is like something out of World's Stupidest Criminals, But we'll take any help we can get in solving a crime." I need to apologize to one of my readers who left a comment here on Monday 10/13/08. I was reviewing his comment via my itouch and I accidentally rejected it. I believe his name was environmental or environmentalist or something like that. :) Anyhow, I'm sorry. I tried to retrieve it, but could not. If you come back here, post again.